Immerse yourself in the visual stream created over the past 50 years by Kamoinge, the pioneering photographic collective. Over 280 stunning photos are interspersed with insights and thoughts from Kamoinge's 30 members, who include many of the nation's most acclaimed photographers. Taken in New York City, in West Africa, in Guyana, in suburban America, the photos include abstracts; daily moments of men, women, and children, together or alone; portraits of Miles Davis, Biggie Smalls, a young Ntozake Shange, and many other visionary citizens; and landscapes. 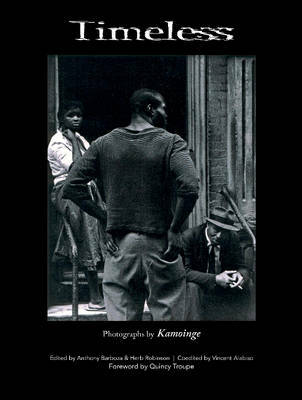 Kamoinge, a collective of African-American photographers seeking artistic equality, was founded in 1963 at the height of the American Civil Rights Movement. As a collective, the members gained entrance into venues that were previously inaccessible to blacks. The oldest collaborative group of photographers in the nation, Kamoinge continues to photograph, as well as to mentor others, and commemorates its 50th anniversary with this compendium.